Windows 10 News and info | Forum > Windows 10 the last version of its iconic operating system. > Windows 10 News > Insider Secret: How to get Windows 10 for free. When Windows was first released, Microsoft's upgrade tool (GWX) was delivered via Windows Update to eligible computers. The free upgrade offer officially ended July 30, 2016, and the upgrade tool was removed. 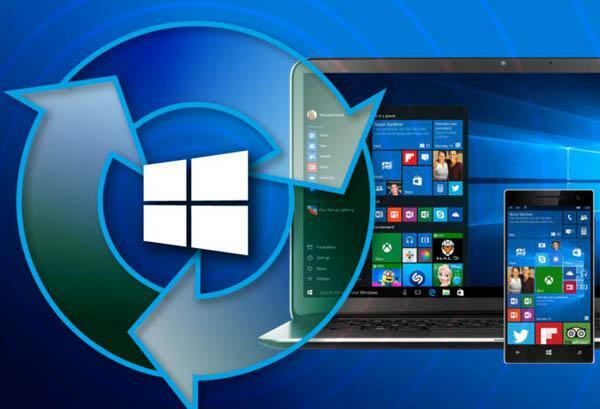 Now, using the Media Creation Tool from the Windows 10 download site, you can choose to upgrade your PC immediately or download a copy of the latest version of Windows 10 to install later. Download the file to a USB flash drive, a DVD, or as an ISO file to your hard drive. You'll need roughly 4GB of space for the 64-bit version, and about 3GB for the 32-bit version. Ready to roll with Windows 10? Indeed while the free upgrade was supposed to end more than two years ago, it is still available to this day. Therefore if you are running with Windows 7 or 8.1 and would like to move into Windows 10, you are in luck. Even better, the process is actually quite simple. As long as you are using a genuine copy of Windows 7, 8 or 8.1 -- one that was properly installed, licensed and activated -- you can follow a few easy steps. 1. Go to the Download Windows 10 webpage and click on the "Download tool now." 2. After the download is finished, open up the file to run the Media Creation Tool. You will then see a screen with a couple of options. 3. If you are looking to upgrade to Windows 10 on the machine you are using at the time, choose "Upgrade this PC now," click "next" and let it go to work in downloading the new files. However, if you are thinking of putting it on a different machine or are not quite ready to take the plunge, go with the other option (Create installation media for another PC) and then save it to a USB drive or as an ISO file. 4. Once your download is complete, double-click on the ISO file and open a File Explorer window. You can also choose to create a bootable drive, with which you would open the USB flash drive in File Explorer and then run through the setup process. 5. Regardless, from this point you will want to follow instructions to complete the upgrade. Once finished you will not be asked for a product key. Also when the upgrade is complete and you are connected to the internet, your digital license will look to be activated. To do that, go to Settings/Update & Security/Activation. Once licensed your copy of Windows 10 will only be good for the device it was installed on. Therefore even if you were to ever reformat your hard drive and go with a clean install of the same edition of Windows 10 you will not need a product key, as activation will be automatic.